Why is the fan-zone for the World Cup 2018 a disaster? 9 months before the Russian World Cup. Stadiums are almost ready, but the preparation of fan-zones has just begun. 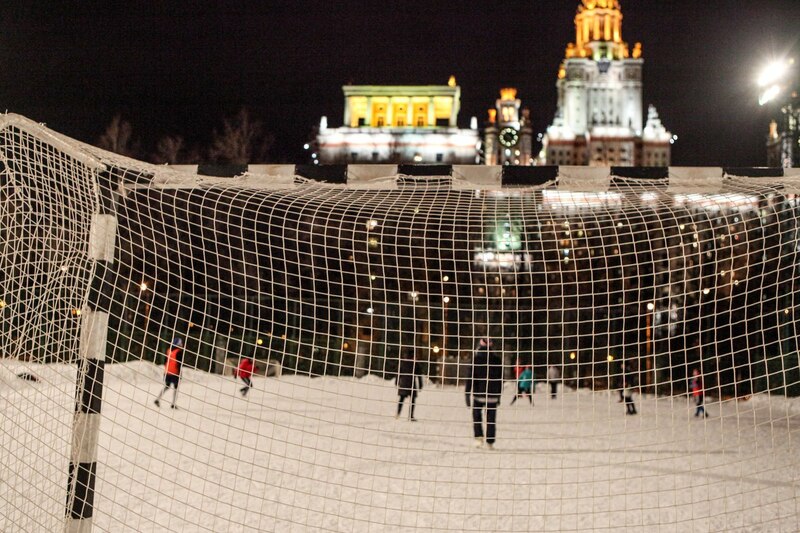 In Moscow it was decided to situate the fan-zone of the World Cup 2018 for 40 thousand fans at the most beautiful site — on Vorobyovy Gory (Sparrow Hills) near Lomonosov Moscow State University (MSU). Why is this a horrible decision? Imagine a person living two lives. In one of them he is a student of the best university in the country, who probably passed his State Exams at 90+, he slowly move the science forward at a lab and does (not) sleep at their classes. Maybe, his parents have put a lot of money into their private teachers, with whom he studied intensively instead of partying, maybe, he has been himself easily successful in high-school and has been waiting for “the real university life”. In the other one he is a person, whose usefulness for the society is estimated by a couple of thousands of rubles of his scholarship (the only hope is the parents or night/evening side-jobs). In one life the state provides him with housing: a little room with the furniture from 1950s, but in such a beautiful building! In the other all nights long streetracers are flying under his windows, the bright young things are listening to music and some crazy quazi-patriotic festivals take place. He is angry with it, as well as many of his friends, but nobody is listening. In one life he is watching football (this is a sports website after all) and plays in the biggest amateur football cup in the world (more than 100 teams in MSU student cup!). Yes, lately the favourite Liverpool (Milan, Arsenal, Spartak) does not make him happy, but his team took it to the highest competition and he finally scored. In the other life 40 thousand happy, but uninvited guests from all over the world are being brought under their windows. He wouldn’t mind to party with the guests, but not on his own campus and not during the exam period. As usual, however, nobody asks their opinion. There are 6.5 thousands such people. What is the Main Building of MSU? There is no need to tell how recognizable is the silhouette of the famous skyscraper sister built in 1953. One just needs to open the Wikipedia page for Moscow to immediately see it. It is a symbol of Moscow, it is a symbol of Russia. Less known is the fact that the building itself is not predominantly occupied by classes, it is a dormitory, where the graduate students live. Some of them, whose parents are also MSU alumni, spent the first years of their lives in that building — it was here that their parents started their family, just like some of them are doing now. There is also a part of the building where people study — directly in the middle. In the Main Building (or, as students call it, GZ (MB for Main Building)) there are stores, laundromats, cafeterias and all that is needed for the life of a small town (apart from cigarettes and alcohol). Students from MechMath (Mechanics and Mathematics Institute), Geologic and Geographic Institutes could live and study without even leaving the building. They say, one of the students from MechMath actually made a bet that he would never leave GZ throughout his studies there and won. In the four little towers on the corners of GZ, there are faculty apartments. In the end, this makes GZ a home for around 6.5 thousand people. It seems a huge number, but the “residents rights” exist for anyone, but for the residents of GZ. 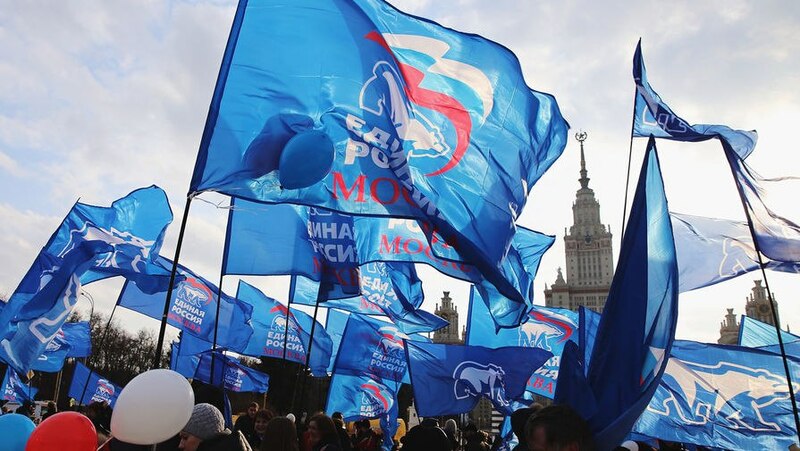 The Moscow mayor’s office, which constantly exploits MSU’s campus for various grand occasions (it is the mayor’s office who issues those permissions, sanctioned by rector of MSU, a member of the “United Russia” party Viktor Sadovnichy), seems to ask itself: should we care about the rights of 6500 residents for a grand effect? Let us think… Probably, no. How did they screw the residents of the Main Building MSU (so-called “GZ”) over? They didn’t just screw them over, they disturbed them with laser flashlights, they shot fireworks directly into their windows. When all those actions began, no-one can remember, but nowadays festivals, races and other grand occasions happen several times a year. For instance, GZ’s residents remember Sberbank’s famous “Green marathon” by the bright music at 7am on Sunday — the day when it is the sacred duty of every student to get some well-deserved sleep. I can understand Sberbank (Nike, Adidas, Alfabank — them too) — who would miss the chance to take a picture with the famous beautiful background? Why the university needs it — they don’t officially get anything from this — is a trickier question. I am sure, the majority of students would agree: MSU already has enough much more suitable events, directly connected to science and education — take the Festival of Science, which took place this weekend. For some time the weird events just made the residents a bit nervous and annoyed. But everything changed when it was decided to organize the festivals “The circle of light 2016” and “Spring” right in front of GZ’s walls. The festival itself went on even larger scale. The entries into the building were closed and people couldn’t have got home for hours. On the first day of the festival weekend, which was Friday, some of the fireworks were situated in the GZ courtyard (!). Burning parts of the fireworks hit the windows and even caused a small fire — some parked cars were damaged. However, we got off quite well. “It was so scary, I had to hide under a tree)) I pity the people on whose cars those huge burning pieces fell. P.S. However, there were watchful firemen everywhere, and everything was rather beautiful”. Do you think they payed the residents some compensation? But of course! The students whose windows were facing the parade, were given a shirt with “The circle of the light” on it and a flash-drive with a virus. The reason why the text above was written is to raise people’s awareness of the Fan Zone near MSU. Considering the “quality” of public organizations at MSU, I think you can easily guess students’ expectations of approximately 25 000-places Fan Zone just in front of them. Nothing augurs well for the future. This year was quite positive for the FIFA Confederations Cup. Maybe there were some shortcomings, but, as for me, it was wonderful. Do I want to take part in it during the 2018 FIFA World Cup? There would be a wide range of activities, for example, watching the matches from the fan-zone side by side with Messi’s countrymen (of course if he comes to the World Cup) and I still do not have a ticket to the stadium, so why not? But not here. MSU is the most awful place for a World Cup fan-zone ever. Why do I think so? As before with the “Circle of light”, MSU would be a dwelling house with mass events under its walls. Notionally, the discussion of putting the fan-zone on the MSU territory should have been stopped because of this fact. And I would not have to write this text at all. However, nothing of the kind. Our “favourite” vice-president Mutko says “from his heart” that he can not see any problems. According to him, “The fan-zone is going to be situated on the territory of Vorobyovy Gory which does not belong to MSU campus” (a spoiler: it’s not the truth). Mutko forgets to mention that the fan-zone is actually feet away from the MSU building where thousands of people live. Those who had recommended the territory as the best space for the fan-zone also forgot to mention this. This place was described to the functionaries of FIFA as a “picturesque park with an amazing view, where regular concerts and other arrangements are held”. It sounds wonderful, doesn’t it? There were no words about a neighbouring house building with 6500 residents. (“Remoteness from the dwelling houses” was one of the gages of projecting fan-zones in other cities, for example, in Ekaterinburg). By the way, Mutko said a bit later: “We have met with rector of MSU and with some students. We’ll see how we can address the problem. There are no final decisions made yet”. It is needless to say, that no one has met with any students at all. As surprising as it may seem, many people simply don’t know what’s taking place on the university territory next summer or do not realise the extent of the problem. The reason is that the Action Team is trying to tell the public about what is going on. The administration of the University, who has agreed to host the fan-zone, are not informing the public properly, as usual. It may be, that the students who only live in the Main Building for a few years, are not ready to defend their resident rights. But they are still people, who have the right for sleeping, working and studying under normal conditions. The fan-zone isn’t just about spectators and a 140-square meters screen, it also involves tribunes, advertising constructions, powerful sound system, VIP-zones, press-centres, food stands , souvenirs shops, first aid station, security and temporary supporting constructions. Apart from the fan-zone, still on MSU campus, there will be parking for sponsors, staff and social media and a large store with tournament attributes. A huge reconstruction is going to take place at MSU campus — suddenly it turned out to be “not entertaining enough” (can’t help but say: “Stay away from it, everything is fine, go renovate the rooms in the dormitory instead!” (see photos)). One should expect the same amount of trouble, as with the Circle of Light, but at a much larger scale: the noise from the “reconstruction”, the massive construction sites, fans, complicated and restricted access to your own house and nearby subway stations. And all that is going to happen at the exam period — the whole month. It’s worth mentioning that the month we speak about only includes the World Cup itself — God knows how long it will take to prepare MSU for the event. Besides 6.5 thousand people who live in GZ, 20 thousand more are at campus everyday — graduate and undergraduate students and employees, who study, work, take exams, teach and do science as much as the “GZ people”. With the current level of respect for elementary rights of the student community, it goes without saying that the educational and scientific process will be completely ruined by all this. There is no constructive dialogue between the residents of the Main Building and the Moscow Government. This situation gives rise to various rumours: people suspect that the session will be replaced and the students will be banished from the building. This was neither confirmed nor contradicted by the authorities, but it does make one worry. Especially in the light of the University of Ekaterinburg’s case, where they are going to place police at the dormitories for the whole period of the World Cup (why not?). The dormitory lease is valid for the whole period of study, so forcing the students to move would be illegal. Possible postponement of the exam period and the semester being cut short are not good news either. Science in MSU cannot be postponed, it goes on the whole year. Those who have never been to Moscow may think that if the Moscow Government makes such a great number of people suffer, they have no choice. But it is not true! There are many places more suitable for a fan-zone in the city. One example is the VDNKh space, which is the officially reserved fan-zone b. It is as picturesque, as MSU, it is one of the favorite places of Muscovites and it is remote enough from any resident buildings. Sports.ru is not just about sport, as well as the problem of the fan-zone at MSU campus. We hope we all can agree that football should be most pleasant and educational experience for its audience and not cause any damage, destruction or considerable discomfort to, nor violate the resident rights of passers by, especially in a situation where one could easily avoid it. People have different opinions about the 2018 World Cup in Russia — there is no need repeating the numerous comments on that on the internet. But since it will take place in our country, let it be an event we all can remember for the spirit of holiday, the spirit of sportsmanship and the spirit of mutual understanding and respect. Not just a festival for those who are “more equal than others”. Again, especially in the view of an obvious alternative, which would satisfy everybody. One way to do so is to bring this problem to public attention. It does not matter, whether you are an alumna/alumnus, are currently studying or working at MSU, or just simply not indifferent to the situation — please, put a “+” below, bring attention to this text. Sign the petition against the fan-zone (http://change.org/p/savemsu). If you think this won’t change anything , you are wrong. The same kind of public campaign successively stopped the horrible construction of knyaz Vladimir’s monument at Vorobyovy Gory (which would suit MSU campus, like his haircut does Rodrigo Palacio, and would cause a lot of danger due to the unsteady soil near the river). In that case too the MSU community was assured that the decision was final and that it was not to be reconsidered. If the fans community will show solidarity with the academic community, we will together manage to make the World Cup in Moscow into the most wonderful and unforgettable event for all its residents. See us on the FIFA Championship!